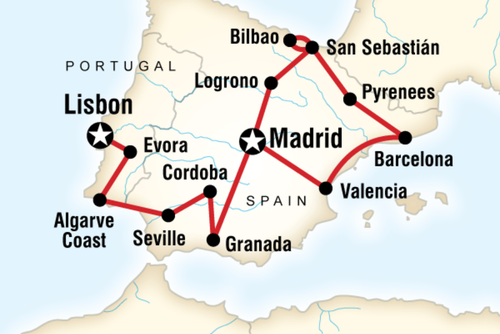 As former imperial superpowers, Spain and Portugal have centuries of history and captivating culture to draw upon. You, on the other hand, have only 22 days. Make ‘em count! 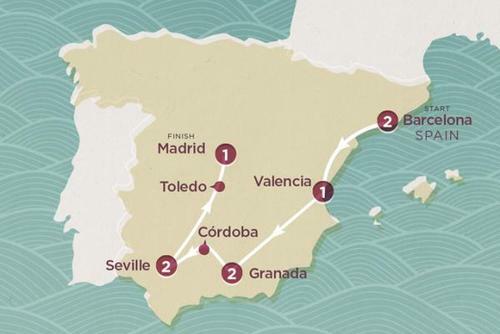 This comprehensive adventure across the Iberian Peninsula presents travellers with the chance to explore these two nations through their cuisine, architecture and idyllic countryside. 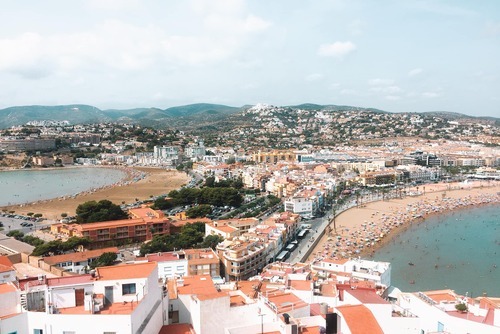 Here, you’ll wander the wondrous streets of Lisbon, Barcelona and Madrid, step up into the Pyrenees, relax in glorious San Sebastián and live the local culture alongside the locals themselves. 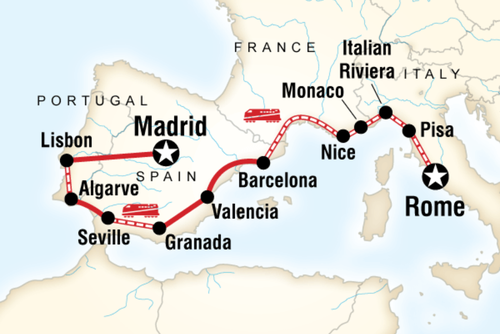 Spain and Portugal: Europe’s greatest two-for-one deal! Orientation walk of Lisbon. Wander through the distinct city quarters and the historical area of Belém. Orientation walk of Evora including a visit to the Church of Bones before continuing to Lagos located on the Algarve coast. Included hike along the Algarve coast, stop to swim in secluded coves and beaches. Afternoon at leisure to enjoy the region. Orientation walk of Seville and a dramatic evening flamenco performance. Opt to indulge in the local cuisine, tasting a variety of tapas. Visit to the Cordoba Mezquita (mosque) and the medieval Jewish Quarter. Experience the sunset along the banks of the Guadalquivir River. 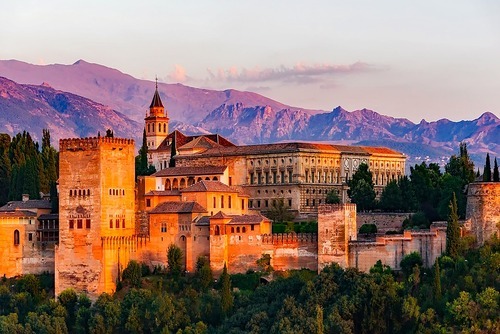 Orientation walk of Granada and guided visit of the architectural masterpiece, the Alhambra. Orientation walk of Madrid. Opt for an evening tapas and wine bar walk. Option to visit the Museo del Prado, a must-see for any art enthusiast. Orientation walk of Valencia's Old Quarter. Opt to visit the Valencia City of Arts and Sciences or relax at one of the city beaches. Orientation walk of Barcelona including the Gothic Quarter and Las Ramblas. Opt to visit Gaudí’s Parc Güell and enjoy an evening of tapas and wine to round out the day. 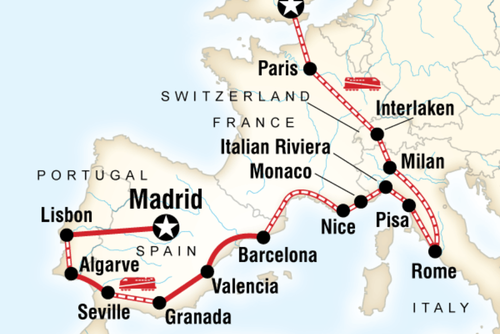 Opt to visit the Sagrada Familia and other Gaudí masterpieces or the museums of Montjuïc and Barceloneta. For two nights, stay in a 'casa rural', or converted farmhouse, in the Pyrenees. Enjoy home-cooked meals and some optional hiking in the area. Take a public bus to San Sebastián, the first stop in the unique Basque region of Spain. Opt to take a Pintxos (tapas) tour and learn about the different food, dialect and culture of the area. 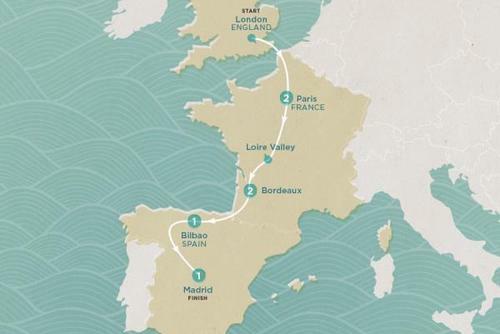 On Day 19, take a day trip to Bilbao, known for the stunning Guggenheim Museum. 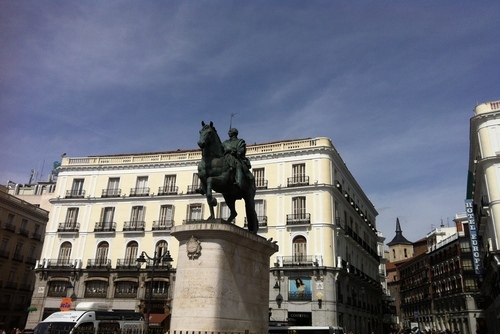 Travel back to Madrid by bus and enjoy some free time in the capital.